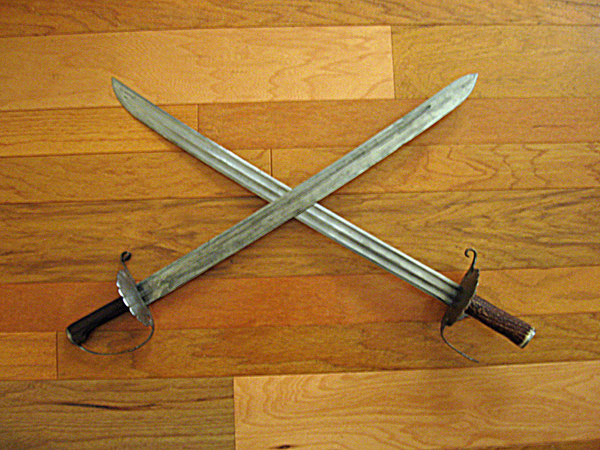 Here are a couple of swords I just finished for Privateer Armoury. 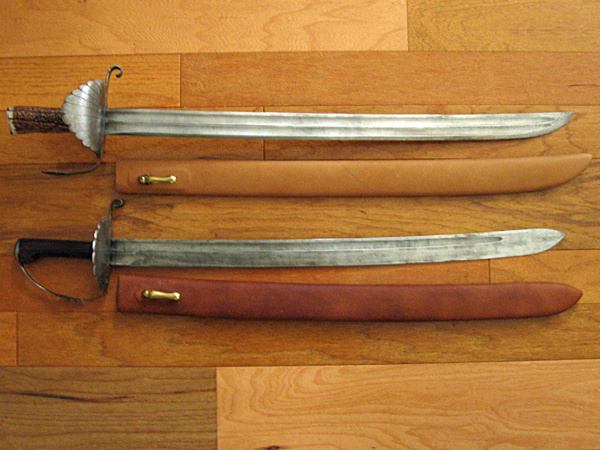 Patined 1084 distal tapered blade, iron hilt, fluted rosewood grip, birch/leather/brass scabbard. 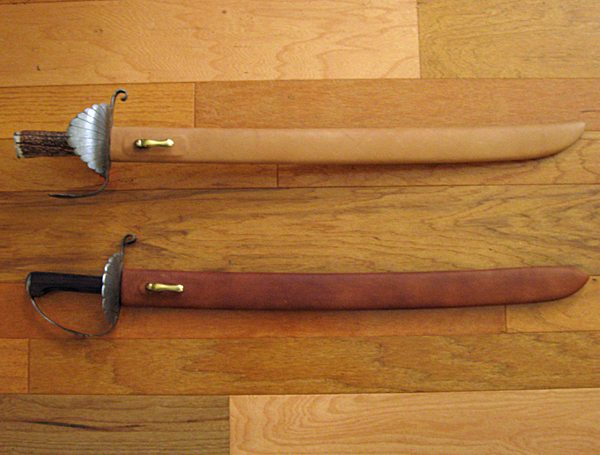 Patined, 1084 steel distal tapered blade, iron hilt, antler grip, birch/leather/brass scabbard. Those are very nice looking swords, Ben. I always love to see new work from you. Thanks for posting. I really like those - thanks for posting your work! 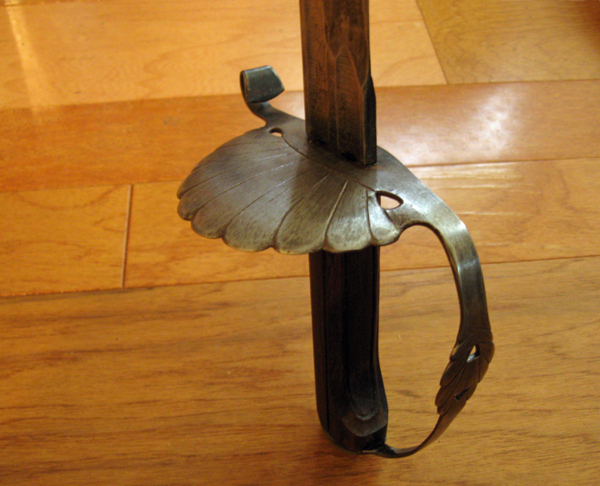 Is this the sword you replicated from the National Maritime Museum? That is the one, I had to modify the design due to budget constraints. Beautifully done, Ben. I was confused at first because they look so much like originals ! Great job capturing the aura of the real thing. Ben, those are fantastic swords. I have a real soft spot for the golden age of piracy and those both fit right in perfectly. Congratulations. Ben, good to see you're around and making solid blades. 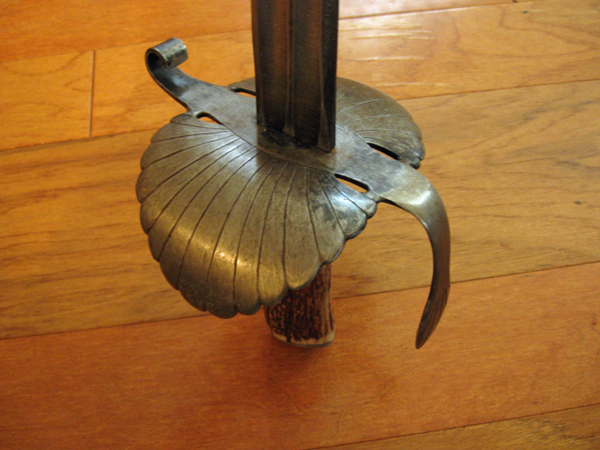 I still have the Privateer sword you made for me a few years ago and it's been a real fun little blade for cutting.